The Power pole is widely usewd in the power transport , its length often more than 14000 mm ,When we want to produce it,we may use 2 sets bending machine as these photos. Two machines may working together by hydraulic and CNC electric control . This model equipment is mainly used for bending metal materials, selection of appropriate mold, can be bent into various shapes .This equipment is hydraulic control, The mold is up/down by the cylinder. Mechanical block and back gauge is equipped with a counter stroke, easy to use, intuitive.The machine main functions as: rapid down, slow down, pressure keep, fast return etc, it should be convenient and reliable work. The machine's hydraulic synchronization is very good, so the working accuracy and repeatability of positioning accuracy are high, The upper mold has a fine-tuning mechanism , and can adjust the height position of each part of the mold, to ensure that the bending work, a uniform gap between the upper and lower molds, to improve the bending angle accuracy. Advanced configuration,high precision and high efficiency ,CNC hydraulic press brake maybe adopt. This equipment consists of the following components: hydraulic system, bed, sliders, back mechanical block feeder, former support roller, electrical, etc. Bed consists of left column, right column, oil pump and working-table, The cylinder is fixed in the column.A mechanical block was fixxed in the cylinder, The block moving distance was display by thec number counter. The former roller may support the steel plate,Stop feeding device fixed on the back , trip distance is displayed by the counter. The upper mold may be adjust up and down to ensure a uniform gap between the upper and lower molds, to improve the bending angle accuracy. The main control function: continuous stroke, single stroke, inching distance, foot switch, self-locking functions. Hydraulic system composed of gear pump, valve, pipe components and so on.Hydraulic valve adopts composition valve series, pipeline fixed up pithy, maintain and debugging convenient. Hydraulic pipeline should to do acid-washing, then to install. The device electrical system composed of electrical box, operate table, hold button. The main electric power circuit breaker with shunt release, on the operate table and hold button all with “urgent stop” button to remote cut main electric power. 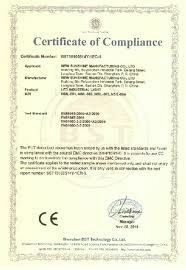 E. GB5226.1-2002 Native current standard of electrical control of device. C. Electrical control system(electrical cupboard, hold button and so on). D. Components related to the total device: former support roller etc . a. 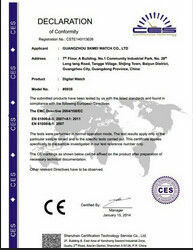 Install drawing, electronic drawing, reference, certificate, container loading list. b. Inspection of material, report of heat treatment, material machine test and so on. parts, secondly grouting) must finished on buyer’s spot. B. Planking and install security fence arround the device. C. Grounding components and other necessary parts. D. Lubrication oil, lubrication fat and so others like before. E. Supply 380V/50HZ power input to the main power interface of the device electric box. F. Arrange the worker to do some training on seller’s spot. In case that the Buyer discovers any defect and/or failure of the goods, the Buyer shall notify theseller of such defect and/or failure by fax or email. The Seller shall repair or replace the defective goods with new ones of good quality within 01 week after receipt of the Buyer’s notice. During Guarantee Period, if the breakdown is found to be due to the designing and/or manufacturing of the product the Seller provided herein, the Seller shall be responsible to propose a solution for the breakdown after Seller’s technicians inspect and confirm the corresponding pictures and written indications which should be supplied by the Buyer. The Seller will dispatch its service engineers to provide overseas on-site service as per the Buyer’s request. The Seller shall cover the relevant domestic transportation costs, bear its service engineers’ wages during the service period and provide round-trip ticket. However, the Buyer shall assist Seller’s service engineers to apply the visa and be responsible to bear their local board, accommodation and transportation charges during the service period, as well as provide them the interpretation service accordingly. If any breakdown caused other than the designing and/or manufacturing of the product the Seller provided herein,upon the Buyer’s request for the Seller’s overseas on-site service forthe sold products, the Buyer shall bear the following (including but not limited to) expenditures and liabilities: responsibility to assist the Seller’s service engineer(s) to apply the visa to the service country or area and cover the relevant visa fees, bearing the Seller’s service engineers’ wages during service period(normally 70USD/day), providing round-trip ticket, covering the service engineers’ local board, accommodation and transportation charges during the service period, as well as interpretation service for the service engineer(s).